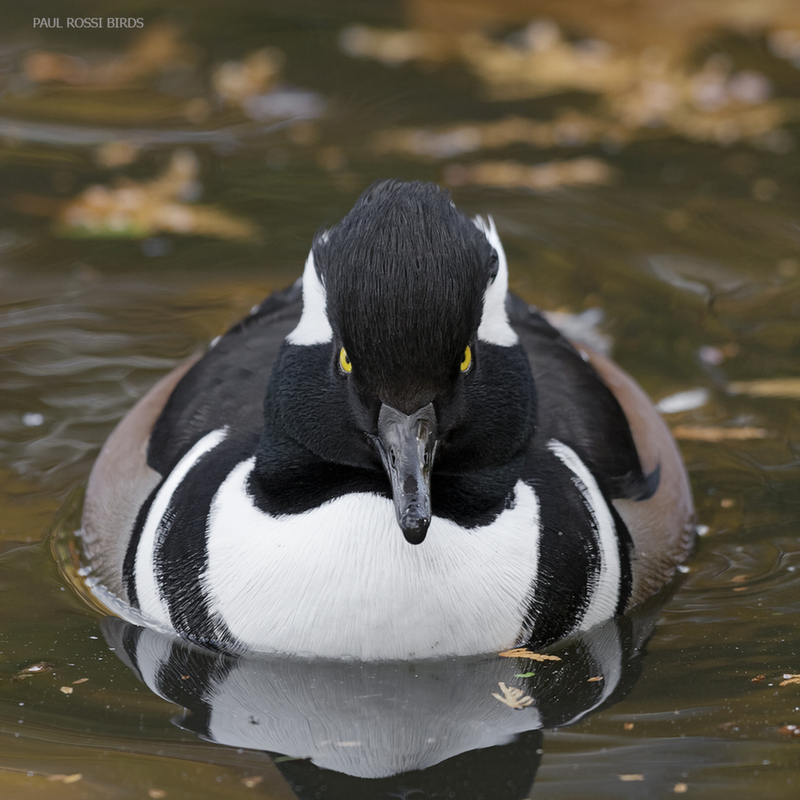 An awesome head-on view of Mr. Merganser with excellent close-up detail. The eye contact and stare make it. A fine image! Fantastic close-up with nice detail! Super close up, excellent detail. I love this shot Paul! Front view is awesome and the stare is priceless. Superb details.